Airports Authority of India (AAI) has undertaken construction of small airports at five locations during 2014-2015. These five locations are: Hubli and Belgaum in Karnataka, Kishangarh in Rajasthan, Jharsuguda in Odisha and Tezu in Arunachal Pradesh. A Task Force under the Chairmanship of Joint Secretary, Ministry of Civil Aviation has been constituted for identification of other locations based on certain broad criteria such as, minimum population of 10 lakhs, tourism potential, commercial viability, details of the flight movements in the past, social obligations etc. Government of India is open to private participation in the process of providing regional and remote area connectivity to Tier-II and Tier-III cities through construction of small airports across the country. However, such consideration depends upon various factors such as willingness of the private players, commercial viability, socio-economic responsibility of the Government, support from the concerned State Governments etc. 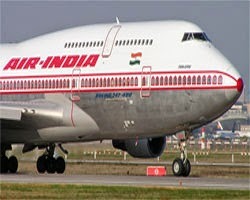 The Government is concerned over financial health of all airlines including budget airlines. No financial package is planned for budget airlines by the Government. However, since fuel constitutes about 40-50% of cost of operation of an airline, Ministry of Finance was requested to include Aviation Turbine Fuel (ATF) under declared goods. State Governments have also been requested to reduce VAT on ATF in their respective States. (1) Financial support for establishment of bio-fertilizers production unit as back ended subsidy @ 25% of total financial outlay up to a maximum of Rs. 40.00 lakh through NABARD is provided. Financial assistant of 50% of cost or Rs. 100/- per hectare, whichever is less, is provided to farmers for promotion of bio-fertilizers under Integrated Scheme for Oilseeds, Pulses, Oil Palm and Maize (ISOPOM). (i) Under National Project on Organic Farming (NPOF), financial assistance is provided as credit linked back ended subsidy through NABARD for setting up of fruit/vegetable waste/agro-waste compost unit @33% of the total cost of project upto Rs. 60.00 lakh per unit. (ii) Under National Horticulture Mission (NHM), financial assistance is provided for setting up vermi-compost production units @50% of the cost subject to a maximum of Rs. 30,000/- per beneficiary. This information was given by the Minister of State for Chemicals & Fertilizers Shri Hansraj Gangaram Ahir in reply to a question by Shri Mukesh Rajput in the Lok Sabha today. Department of Fertilizers had prepared a proposal for creation of a dedicated "Sovereign Wealth Fund" for acquiring assets to augment supplies of fertilizers and fertilizers input/raw materials for the country. However, the proposal has been shelved as it was not found viable. Keeping in view the constraints in the availability of Natural Gas in the country, which is the preferred feedstock for production of nitrogenous fertilizers, a near total dependence on imports for Phosphatic fertilizer and its raw materials and full import dependence for Potash, the Government has been encouraging Indian Companies to establish Joint Ventures abroad in Countries which are rich in fertilizer resources for production facilities with buyback arrangements and to enter into long term agreement for supply of fertilizers and fertilizer inputs to India. Further, the Department is also working with the goal of having access to acquisition of the fertilizer raw materials abroad. 5.5 lakh MT phosphoric acid. Production already started. 4.8 lakh MT Phosphoric acid. Commercial production started in December 2014. 4.25 lakh MT phosphoric acid. Production started in year 1997-98. 3.60 lakh MT of Phosphoric acid. Commercial production started in April 2014. This information was given by the Minister of State for Chemicals & Fertilizers Shri HansrajGangaramAhir in reply to a question by Shri Deepender Singh Hooda in the Lok Sabha today. The Government has taken various measures to realize the dream of ‘Make in India’ in pharmaceutical sector. In this direction, the Government had constituted a Committee under the chairmanship of Secretary, Department of Health Research. The mandate of this Committee was to carefully study the whole issue of Active Pharmaceutical Ingredients (APIs) of critical importance by identifying important APIs and then working out a package of interventions/concession required to build domestic production capabilities and examine the cost implications. Besides this, with a vision to catalyze and encourage quality, productivity and innovation in pharmaceutical sector and to enable the Indian pharmaceutical industry especially SMEs to play a leading role in a competitive global market, a scheme titled Cluster Development Programme for Pharma Sector (CDP-PS) is being implemented. The Government has approved the National Pharmaceutical Pricing Policy-2012 and thereby has put in place a regulatory framework for pricing of drugs that would ensure availability of essential medicines at reasonable prices even while providing sufficient opportunity for innovation and competition to support the growth of industry, employment and shared economic well-being for all. This information was given by the Minister of State for Chemicals & Fertilizers Shri Hansraj Gangaram Ahir in reply to an unstarred question by Shri Vinayak Bhaurao Raut and Shri Rahul Shewale in the Lok Sabha today. Hitachi India Limited and Siemens Limited signed a MoU with CII in the capital today to form a consortium that would create pilots and replicate them throughout the country for setting up 100 smart cities. The MoU was signed on behalf of Hitachi by their MD, Mr. Ichiro Iino and MD, Siemens Ltd, Mr. Sunil Mathur and DG, CII Mr. Chandrajit Banerjee in the presence of DIPP Secretary Mr. Amitabh Kant. Speaking on the occasion, Mr. Amitabh Kant said that while cities occupy only 3 % of the total geographical area of the world, they contribute nearly 80% of GDP and 2/3rd of global emissions. Hence, there was a challenge to do urbanisation in an innovative and systematic manner. Mr. Kant said that learnings gathered from the best practices across the world in the management of water, public resources, public spaces and technology etc shall be shared while implementing the smart cities concept in India. He said that smart city initiative shall be driven by technology driven companies. Earlier, in his address, DG,CII said that this MoU provides a platform for coming together of leading technology companies such as Hitachi and Siemens and this will enable the implementation of vision of hundred smart cities. In order to facilitate clearance of cane price arrears to sugarcane farmers, the Central Government on 03.01.2014 has notified a Scheme for Extending Financial Assistance to Sugar Undertakings (SEFASU-2014) envisaging additional working capital loans by banks to sugar mills with interest subvention. Further, the Central Government on 28.02.2014 has notified another scheme allowing incentives for marketing and promotion services for raw sugar production targeted for export market. Further, policy for procurement of ethanol for Ethanol Blending Program (EBP) has been modified to smoothen the ethanol supply chain and ensure remunerative price. This information was given by the Minister of Consumer Affairs, Food and Public Distribution, Shri Ram Vilas Paswan in a written reply in Lok Sabha today. Shri Paswan said that the Sugarcane (Control) Order, 1966 stipulates payment of cane price within 14 days of supply, failing which interest at the rate of 15% per annum on amount due for the delayed period beyond 14 days is payable. The powers for enforcing this provision are vested with the State Governments/UT Administrations who have necessary field formations. The Minister said that the Government vide Notification dated 27.02.2014 has extended the incentives scheme for marketing and promotion services for raw sugar production targeted for export envisaging incentive @ Rs. 4000 per M.T. for the current sugar season 2014-15 for a quantity of 14 lakh M.T. He said that there have been some budgetary constraints in disbursement of export incentive for the export of raw sugar undertaken under the scheme during the sugar season 2013-14. However, corrective measures have been taken to remove such constraints to facilitate early disbursal. During year 2014-15, Government has allocated 194.04 lakh tons of foodgrains for Below Poverty Line (BPL) families, 137.27 lakh tons of foodgrains for Above Poverty Line (APL) families. 218.85 lakh tons of foodgrains has been allocated under National Food Security Act(NFSA). During the current year, a quantity of 12.04 lakh tons of foodgrains has been allocated to the States for families affected by natural calamities, additional requirements projected by the States, etc. This information was given by the Minister of Consumer Affairs, Food and Public Distribution, Shri Ram Vilas Paswan in a written reply in Lok Sabha today. Shri Paswan said that during the second half of the current year a quantity of 20.92 lakh tons of foodgrains has been allocated under Other Welfare Schemes (OWS) viz Mid-Day-Meal (MDM) Scheme, Wheat Based Nutrition Programmes(WBNP), Welfare Institutions/Hostels, etc. Government has also allocated 100 lakh tons of wheat during the current year under Open Market Sale Scheme (OMSS) out which a quantity of 40.12 lakh tons has been sold upto March, 2015. The Government has modified the policy for procurement of ethanol under the Ethanol Blending Programme (EBP) which provides for a new process that smoothens the entire ethanol supply chain and fixes the ex-depot price of ethanol in the range of Rs 48.50 to Rs 49.50 per litre. Further, the incentive scheme for marketing and promotion Services of raw Sugar production targeted for export has been extended for current sugar season 2014-15 at uniform rate of Rs. 4000 per MT for a quantity of 14 lakh MT. These measures are likely to help in evacuation of surplus sugar from the country and improve the financial condition of sugar mills. This information was given by the Minister of Consumer Affairs, Food and Public Distribution, Shri Ram Vilas Paswan in a written reply in Lok Sabha today. Shri Paswan said that apart from modified EBP programme and export incentive scheme referred to in reply to part a) & b) above, a Scheme for Extending Financial Assistance to Sugar Undertakings (SEFASU-2014) has also been notified on 3.1.2014 to facilitate clearance of cane price arrears of previous sugar seasons and timely settlement of cane price of sugar season 2013-14 to sugarcane farmers. The scheme envisages additional working capital loans to sugar mills by banks with interest subvention. Before implementation of the National Food Security Act, 2013 (NFSA), States/Union Territories (UTs) are required to identify the eligible households and complete other preparatory activities. Based on the preparedness reported by 11 States/UTs namely, Bihar, Chandigarh, Chhattisgarh, Delhi, Haryana, Himachal Pradesh, Karnataka, Madhya Pradesh, Maharashtra, Punjab and Rajasthan, allocation of foodgrains under the Act has started to them. Remaining 25 States/UTs have not completed all the preparatory measures required for implementation of the Act. In these States/UTs foodgrains allocation under existing Targeted Public Distribution System (TPDS) is continuing. This information was given by the Minister of Consumer Affairs, Food and Public Distribution, Shri Ram Vilas Paswan in a written reply in Lok Sabha today. Shri Paswan said that strengthening and streamlining of TPDS is a continuous process. Government is implementing a Plan Scheme on ‘End-to-end Computerisation of TPDS Operations’ on cost sharing basis with the States/UTs. Costs are being shared on 90:10 basis in respect of North Eastern States and on 50:50 basis with other States/UTs. Component-I of the Scheme comprises activities, namely, digitization of ration cards/beneficiary and other databases, computerisation of supply-chain management, setting up of transparency portals and grievance redressal mechanisms. The Minister said that the Government of India allocates foodgrains under existing TPDS, to States and Union Territories (UTs) for distribution to Below Poverty Line (BPL) families, which includes Antyodaya Anna Yojana (AAY) families, @ 35 kg per family per month. Allocation of foodgrains to Above Poverty Line (APL) families are also made depending upon the availability of foodgrains in the Central Pool and the past offtake. Presently the allocation of foodgrains to APL families range between 15 and 35 kg per family per month. However, quantity actually distributed differs across States. Under NFSA, every person belonging to priority households is entitled to receive 5 Kg of foodgrains per person per month. AAY households are entitled to receive 35 Kg of foodgrains per household per month. • Fortnightly inspection of stock on 100% basis by Technical Assistants at storage depot level. • Monthly inspection by Manager (Quality Control) at storage depot level. • Quarterly inspection by Assistant General Manager (Quality Control) at District level. • Super checks by Regional, Zonal and FCI Headquarter squads. Shri Paswan said that similarly, at the time of issue of foodgrains to States/UTs, there is a well defined procedure of joint inspection/sampling of the stocks by State Government authority and FCI to ensure that only good quality foodgrains are issued under Targeted Public Distribution System (TPDS) and other welfare schemes. The Minister said that complaints received about quality of foodgrains are also investigated by the officers of Quality Control Cells (QCCs) of the Department and tests are conducted on quality of foodgrains at the Central Grain Analysis Laboratory (CGAL), New Delhi in case of disputes. He said that Government has taken various steps to minimize damage to foodgrains, including augmentation of covered storage capacity, training of man power in scientific storage, regular monitoring and testing of foodgrains etc. Due to which the damage in central pools stocks has been brought down from 1.066% in 2000-2001 to 0.044% in 2014-15 (upto 31.1.2015). The testing facilities at CGAL New Delhi and Indian Grain Storage Management and Research Institute (IGMRI), Hapur have been upgraded. The Government of India has enacted National Food Security Act (NFSA) w.e.f. 05.07.2013 which provides highly subsidized foodgrains to the beneficiaries identified by the respective State Government under Antyodaya Anna Yojana (AAY) and Priority categories as per 2011 population estimates. It has been intimated by the State Government of Assam that NFSA ration cards have been issued to all selected beneficiaries including tea garden workers. Once the State Government implements the NFSA, all these beneficiaries identified by the State would be entitled for the prescribed quantity of foodgrains as per the provisions of the Act. This information was given by the Minister of Consumer Affairs, Food and Public Distribution, Shri Ram Vilas Paswan in a written reply in Lok Sabha today.